As most of you know who have been following my ESL blog about my ESL tutoring experiences, as well as ESL tips, grammar tips, etc., I wrote back in September of 2009 that I discovered that someone had stolen my ESL blog. At that time, I filed a complaint with Google. Google researched my claim and took down the site that had stolen my material (they didn't even bother to change anything, the thief stole my blog word for word). 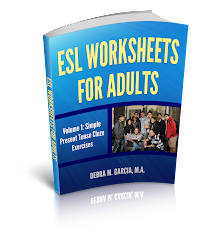 I have personally written each article in this blog based on my experiences teaching ESL, with the exception of a handful of articles from guest writers. 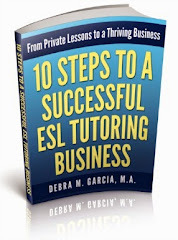 You can identify those ESL blog entries because they will give credit to the author. This blog with the URL of www.esl-tutor.com is the original site. I think if other unscrupulous people are stealing this content, you should be able to identify this because they will have a different URL. "YOUR BLOG IS IDENTICAL TO ONE I'VE BEEN FOLLOWING FOR A COUPLE OF YEARS. SHAME ON YOUR FOR YOUR PLAIGARISM!!!!!!!!!! IT IS UNPROFESSIONAL AND DISGUSTING. Unfortunately, the email writer did not leave his or her email address (which I understand if he or she thinks I am the thief), so I hope he or she will read this post and perhaps get back to me with the URL of the actual plagiarizing ESL blog so that I may report it to Google. I thank all my followers of this blog and my main ESL site. And I apologize for not writing every day as I did the first year of this blog. I've been spending more time on the main site, so you may want to follow that site for newer material.